Acupuncture is a type of “traditional” Chinese medicine. It is used to correct imbalances related to “chi” or energy inside the body. In order to achieve this, practitioners utilize very fine stainless-steel needles in order to stimulate the 14 meridians or energy-carrying channels. Acupuncture is believed to curb pain when it boosts natural types of pain killers present in the body, known as endorphins. It has been said that further studies are still required in association to how well acupuncture works for quitting smoking, facial pain and headaches. It is still advisable for patients not to rely solely on acupuncture for serious or chronic illnesses, unless recommended by a qualified doctor. In some cases acupuncture is not viewed as the ideal option to improve certain conditions as it cannot replace types of medical care that includes medication or physical therapy. For specific conditions that can include cancer, acupuncture is advisable for use when combined with various other treatment plans. The person that treats patients is known as an “acupuncturist”. The areas on the body were the needles will be applied are first swabbed with alcohol, before the thin needles are gently tapped into each site. The amount of needles used, where they will be positioned and how deeply they are inserted will depend entirely on the specific case of the patient. These needles will then stay in their exact place usually up to an hour. Some acupuncturists may electrically energize, warm or adjust the needles in order to intensify their effect. Tingling can be felt when electricity has been used and should only be very mild. It has been about 2,000 years since acupuncture was first used and is now seen as a mainstream type of treatment plan. 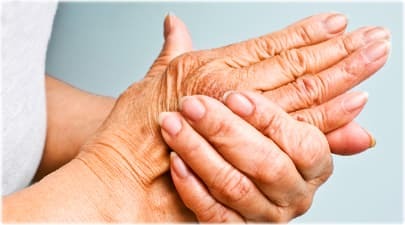 Research has now proved that the symptoms related to OA (osteoarthritis), RA (rheumatoid arthritis) as well as fibromyalgia can now be treated with acupuncture sessions. The current as well as ancient theory involving acupuncture is based on the belief that “essential” life energy better known as qi pronounced as “chee” flows inside the body along 20 meridians which are invisible channels. When this flow has become blocked or is regarded as imbalanced, pain or illness typically occurs in the body. Over 2,000 acupuncture points are connected to these channels and stimulating these points using needles can alleviate pain or correct the energy flow. Acupuncturists will often explain that acupuncture can be used to decrease or even diminish pain by untying muscular-straitjackets or releasing shortened, tight muscles back to their state of rest. In addition, acupuncture regulates the nervous system that assists in stimulating the release of endorphins which is known as a natural pain fighter. Over and above this, acupuncture can advise the body as to where the “battle” is located. When needles have been inserted into specific sites along the body, the body takes note of what is known as this “micro-trauma” and produces healing factors. Acupuncture is also used to modify the perception-of-pain. Certain brain-magnetic-resonance imaging has shown that needling in certain acupuncture points can deactivate the portion of one’s brain that deals with the perception-of-pain. This is achieved with what is known as “deep” needling and these needles are inserted to about 12.7 millimeters into the skin. I was diagnosed with arthritis of the spine and lower back pain. I was not able to sleep or accomplish my daily chores or activities. Since I began treatments at CIMH, I can sleep more through the night, my daily chores have increased along with other activities such as gardening. It has been great dealing with the doctors and the entire staff. As far as the treatments and herbal medicine goes, I must say my husband and I were very surprised with the results! I have had surgeries that have semi -helped. The treatments given by Dr. Tad, Dr. David, and Dr. Justin have been a great help. My pain level started at a 7-8 out of 10 and now are consistently at 2-3 on the pain scale, 4 at the most! I am sleeping better , I can do daily activities much easier and pain free. Prior to the treatments, I could barely make it through cleaning dishes without being in extreme pain. I now feel full of energy and am happier every day! Thanks to everyone at CIMH for this transformation my body has taken. God bless. The orthopedist said that I had arthritis in my right hip; but since it wasn’t that bad I should wait to get it replaced. If being in constant pain, walking with a decided limp, and having to lift my leg to get into a car was bad enough, how much worse could it get? My sleep was disturbed, I was distracted and fatigued throughout the day, and the pain medication made me feel groggy. My wife had a very positive experience with Dr. Tad, but I was stubborn and felt that I could tough it out until the arthritis was worse. The idea of a hip replacement was very scary to me. I waited about three months until my denial failed — I was in too much pain and there was no end, outside of a hospital, in sight. So, I bit the bullet and went to see Dr. Tad. I went for six sessions and, despite my unhealthy skepticism, I did feel somewhat better. So I signed up for the long haul and started going three times a week. Much to my surprise, I continued to improve. My pain lessened, my range of motion increased, my gait lost its limp, and I started sleeping more soundly. I have completed over forty sessions and am sold on acupuncture. I still have the arthritis, but I am not in pain. I walk, sleep, move and get through my day without really thinking about my hip. My heartfelt gratitude goes to Dr. Tad and his entire staff for their warmth, caring, and dedication. And for my wife for knowing when to push. I came to Dr. Tad with symptoms of my arthritis being tightness and pain in my neck, shoulders, knees, and back. I began treatment and felt more energetic and relieved of pain. I started drinking less caffeine and taking ½ the dosages of my blood pressure and pain medication. I have progressed so much and feel well. Dr Tad is a special person who is dedicated to his patients. He shows a lot of care and takes his time with each patient as needed. He is such a wise doctor. Kasia is a great partner for Dr. Tad and the staff is very friendly, welcoming and professional. They all make a great team and make health and wellness an enjoyable pursuit.